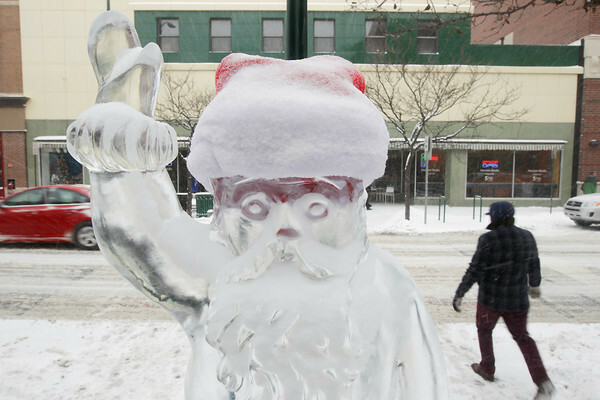 An ice sculpture of Santa stands Tuesday near a crosswalk on Front Street in downtown Traverse City. Steven Berkshire, of Traverse City, created the eight downtown ice sculptures along Front Street and two logo ice sculptures at City Centre Plaza and Marc Pritchard created the Santa sculpture at City Centre Plaza. The ice sculptures were created for Santa's arrival and other events that took place during Downtown's Annual Holiday Open House last Friday in Traverse City.